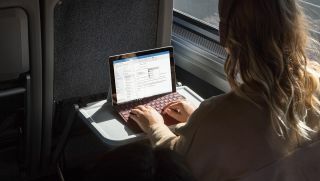 As the next feature update to Windows 10, 19H1, gets closer to its scheduled April release, we're starting to get a better picture of what that update will include – and one new arrival will be a new storage management system. This move should ensure that updates are smooth, and that you don't run into any critical storage options. You can access this reserved space if you reinstall Windows 10, too, so nothing is permanent. However, if you are running low on space, you can reduce the amount of space allocated for updates, though you won't be able to remove it altogether. Microsoft itself may alter the amount of drive space reserved, presumably ahead of bigger updates. This will work in conjunction with Storage Sense to intelligently manage your device's storage – so you have a device that's always reliable without having to think about it. If you want to test this new feature yourself, it's included in the latest Windows 10 preview build for the Spring 2019 Windows 10 update. In the meantime, here's everything about the Windows 10 October 2018 Update.